Observation - Egyptian Geese - UK and Ireland. 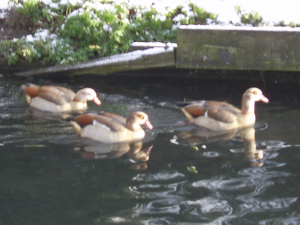 Description: A trio of egytian geese visiting Carshalton ponds, Grove Park, Carshalton. A trio of egytian geese visiting Carshalton ponds, Grove Park, Carshalton.